regenerative medicines being applied in hair restoration and transplant procedures at Dr. Mwamba's clinic located at 73 Rue Defacqz 1060 Bruxelles Belgium. Always at the forefront in advanced technologies, Dr. Mwamba is our first featured doctor in Belgium who uses the exciting ACell MatriStem regenerative medicines in hair transplants. ACell, Inc. is a manufacturer of next-generation regenerative medicine products. Its products are cleared for different indications by the US FDA and are marketed under the brand name "MatriStem*." According to ACell, Inc: "MatriStem products consist of porcine-derived extracellular matrix (ECM) that maintain and support a healing environment through constructive remodeling, ... These devices, trademarked as MatriStem, are appropriate for acute wounds, chronic wounds and various surgical procedures. All MatriStem devices are made in the USA". MatriStem has generated a lot of media attention in recent years due to its amazing wound regeneration capabilities in human tissue. 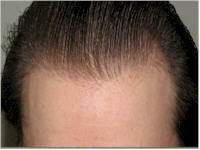 Initially adopted for indications such ashernia or abdominal wall repair, pelvic floor reconstruction, general surgery and wound care, MatriStem has made its way to hair restoration procedures thanks to a few hair transplant doctors, such as Dr. Mwamba himself, who are always pushing the limits and are in tune with the latest in technological advancements. Presently, Dr. Mwamba is one of the very few doctors in the world who offers this amazing regenerative enhancements for his transplant patients. To learn more about ACell MatriStem and hair transplantation, please contact Dr. Mwamba for further details and see if you are a good candidate for this treatment in conjunction with hair transplant. *MatriStem is a registered trademark of ACell, Inc.